October 31 marked the 500th anniversary of the day Martin Luther is said to have nailed his theses to a chuch door, a starting point of the Reformation. MK: First of all, before we get into how this has [affected] American political and philosophical debates, remind us just how significant an impact this event had: Martin Luther supposedly nailing the 95 Theses on the door in Wittenberg. MG: We know now that he probably didn’t nail them on the door, but it is fascinating because within three weeks of his having published the 95 Theses, they were known all the way across Europe. Part of this is just an indication of the new power of the media, which is to say the printing press. We’ve seen some of that again today, with the rapidity with which news travels from one place to another. But for Europe, this was the first European-wide event that really was occasioned by the publication of these 95 Theses, which turned an obscure German monk into a historical figure. MK: And after he published these Theses and got all the attention, and we ended up seeing the Reformation, one of the things that you talk about in your presentation is the way that different strains of this thought moved around to various countries and ended up coming to impact America in more than one way. 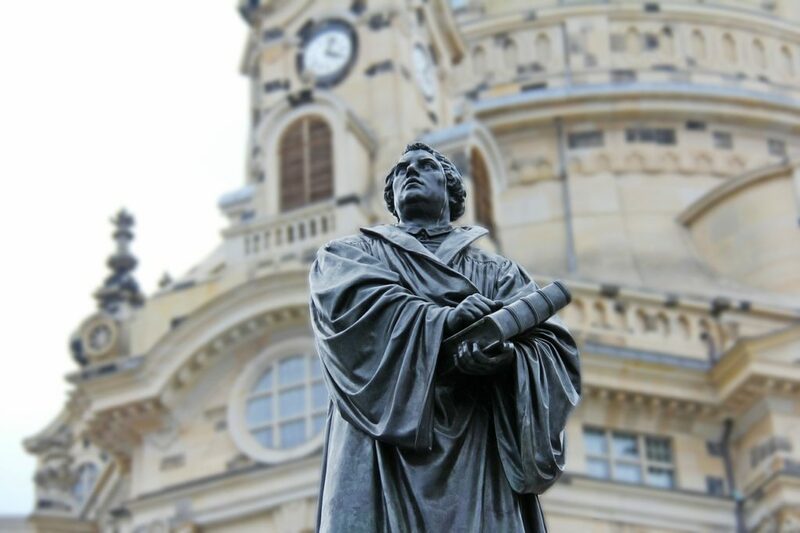 The Magisterial Reformation, which includes Luther, Calvin, and Zwingli, went off in one direction that really imagined an omnipotent God, who could do anything, but diminished the capacity for human freedom being able to affect one’s theological fate. The Radical Reformation, by contrast, really wanted to emphasize human freedom and the role that human beings could play in determining their own lives. Over time, as you trace out the various paths of these things, we’re prone to think that the Magisterial Reformation was central and important for us because it does help to explain religion that we see around us today. But, in fact, without understanding the Radical Reformation, and particularly the role that freedom played within the Radical Reformation, it’s hard to understand what happened to Protestantism. So Protestantism today, for the most part, even among evangelicals, is imagined to be a religion in which people have a choice about whether to stand with Christ or not. The Magisterial Reformers, Calvin and Luther, certainly didn’t believe that. That had a lot to do with the intervening history, particularly Jacobus Arminius, the Wesleys, the origins of Methodism and Baptism. On the other hand, within the Radical Reformation, there were strong concerns about the role that Christ actually played in the godhead. As a result, the relationship between man and God, and particularly between man and Christ — should Christ be seen as a transcendent God, or should Christ be seen as pre-eminently a moral model on which we should model our behavior? Within the Radial Reformation, and particularly among the anti-trinitarians, the Quakers and others, the notion of inner light, the role of reason, played a huge role. And we know now that John Locke, after whom the foundation is named, was, in fact, probably a Socinian, an anti-trinitarian, who believed that reason and reason’s God alone was sufficient for us to lead our moral and religious lives. Insofar as he became the founder of what we think of as “classical liberalism,” and one of the pre-eminent forms of secular life, we see that transferred into America through a number of his writings. But also through the continuation of anti-trinitarians coming to the United States, then called “Unitarians,” and particularly Joseph Priestley, the very famous scientist, … was friends with Jefferson, with Franklin, and with Washington, and during that period of the American founding had a profound impact upon their thinking about religion and politics. 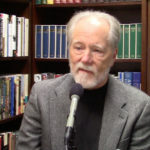 In the 1820s, with the Second Great Awakening, we saw a counterpunch to that from Calvinism. You know, that has, in a way, shaped the American landscape ever since, the secular view of religion and life and a more Calvinist view of evangelicalism. What’s so interesting to me is that both of them, in a certain sense, derive from Luther and have shaped the way in which we think about the world, for better and for worse, and that this religious conflict remains essential to everything we think about American life. MK: … Among readers would not consider themselves particularly religious, or even spiritual, they say, “This religious stuff, it doesn’t really matter to me. It doesn’t have much of an impact on my life.” How much of this really does impact the things that people are dealing with day in and day out, in terms of the politics and philosophy? MG: I think at the core — and there are a number of people that have attacked religion as the source of everything that goes wrong in human life — they consider themselves secular, anti-religious. In point of fact, almost all of them believe in some version of the Christian message, even if they don’t believe in Christ. And one of the examples I like to use on that is the whole idea of rights. You know, we imagine that rights are something intrinsic to human beings. It’s written in our Declaration of Independence. It’s assumed by the Constitution. The Bill of Rights specifies the rights that we have. But we imagine it has foundation beyond merely our own making, rooted either in nature or nature’s God, as Jefferson put it. In point of fact, almost all of modern science denies the existence of individual human rights, right? What matters, if you believe in modern biology, is not the individual, but species. What I tried to show in my previous book, The Theological Origins of Modernity, and in the current book I’m working on, which is going to be called The Theological Fate of Modernity, is that things like rights are really a holdover from Christianity, and that they’re deeply embedded in our psyche in ways that we don’t understand and that are essentially Christian. Now, Muslims understand this because when you tell them that they ought to honor human rights, they see that as a Western imposition, because they recognize that it’s a Christian notion, and not something compatible with their religion.